This entry was posted in autism, Communication, communicative devices, Uncategorized, World Autism Awareness Day. Bookmark the permalink. Thank you for sharing your knowledge and explaining communication difficulties in this way. I am grateful for your input as is my son who now is able to type to communicate. We love your books! Your books have changed our life, especially my husband’s . He finally understood what it is going on with our son. Congratulations on your presentation at the U.N. yesterday!! Our family was watching with tears in our eyes and pride in our hearts. Although we don’t know you personally we are familiar with the challenges that you have overcome. My son, Danny, who is non speaking also, is fighting daily for respect and acceptance, and having a role model like you is very inspiring. 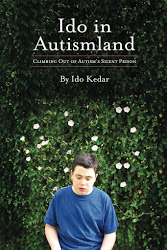 Thank you for all that you do and we will continue to recommend “Ido in Autismland” as the ultimate book on autism. God bless you and your family and best of luck with all of your future endeavors! Ido, this is a truly wonderful presentation. As always, your articulation of the issues is beautiful, clear, and succinct. It is amazing that your voice, and the voices of other non-speaking and non-reliably speaking people, are now breaking through at UN level. There will be powerful and positive repercussions around the world. Massive thanks to you, and to your parents and supporters, for blazing this trail, and pushing it through onto the human rights and equality terrain – which is where it needs to be. Your work is revolutionary, paradigm-shifting, and phenomenally generous of spirit. Thank you, thank you, thank you! May your books fly off the shelves. I am just crying as I am sure many others who are struggling with what you are advocating for. Thanks to your inspiration we have embraced typing for our 10 year old non verbal autistic son and it’s doing miracles but we struggle every day with the lack of acceptance we encounter with his educational system…. This video was brilliantly succinct! I’m so happy you have become voice for autism advocacy and understanding around the world. 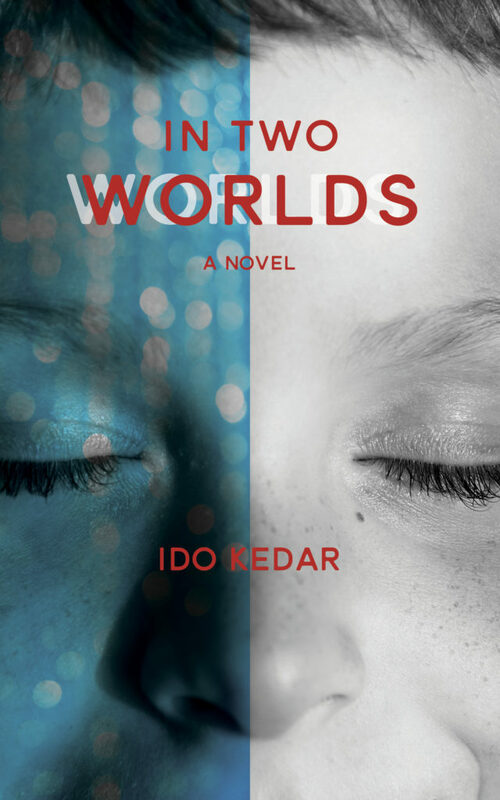 Once again you are speaking for the silent and marginalized ones, Ido, well done! I cry tears of joy and pride when I watch this! Our son, Dario, was inspired to write his life story after we read your book to him. Thank you and your family, Soma and Tito, too, for being brave trail blazers and advocating for change!! Dario was 25 before he was able to visit Lenae Crandall in our small southern Oregon area. We pray that what he and others like him have endured, will be no longer be the status quo! Thank you Ido! You are so inspiring and such an awesome advocate for non speaking autistic people. Your perseverance has paid off, imagine that – you have spoken to the whole world through your United Nations presentation! You explained the challenges with such clarity especially focusing on the “motor difficulties” which hopefully will get the imperative attention it deserves. I am so greatful that several years ago through my daughter-in-law’s tireless efforts my grandson was also introduced to Soma’s Rapid Prompting Method through Lenae and embraced spelling with the letter board. (Thank you Soma/Lenae) What a Miracle that first day was! He is almost a teenager now with a brilliant mind, amazing sense of humour, such insight for a young person, so eager to learn and has many new “spelling” friends to talk to and share learning with in person and through such great internet technologies. It is not easy, it is frustrating and very time consuming, but the rewards are worth it. We are so very proud of him! We have read your books and passed on the awesomeness. Thank you Ido and your family you have made a difference. Ido, thank you so much for posting this. I have an autistic grandson and it is very clear that he understands what is said to him and around him, and that he is quite smart. We’ve been able to establish that he does know his letters. He’s not yet communicating successfully but my daughter is very persistent and very loving with getting him help, giving him help and getting more educated as to what to do. My hope for him is that we will be able to receive communication from him in the future, either as you do, or in some other way. It will help a lot if we can know what is wrong or right or what he needs or does not need, or if something hurts, or what feels bad/good. It means so much to me that you have let us know through your communication above and through your books what things are like from your viewpoint. Thank you, from the bottom of my heart.